Kentucky is a place that people have a lot of assumptions about, but unless you’ve spent time there, seen its light, stepped on its grass, swam in its rivers, slept under its stars then you don’t, can’t really know anything about it. David Connerly Nahm committed pages and pages to describing the Kentucky landscape in his novel Ancient Oceans of Central Kentucky. And it is the landscape, the caves, forests, fields, gorges, dark dark nights and the special kind of people, a blend of Southern, Appalachian and Midwestern cultures, in Kentucky that have inspired writers for centuries. Poet Laureate of Al’s Bar and native Kentuckian, Eric Scott Sutherland, gives us the low down on Lexington’s powerful lit community. In the heart of the famed Bluegrass, its beautiful rolling hills snaked by hundreds of creeks and rivers, Lexington is known for its reverence of Equus and our passion for college basketball’s greatest tradition. A Big Blue Nation, we distill limestone filtered water into Kentucky bourbon. Y’all have probably heard of our reputation as laid back hosts and hostesses who exemplify southern hospitality. 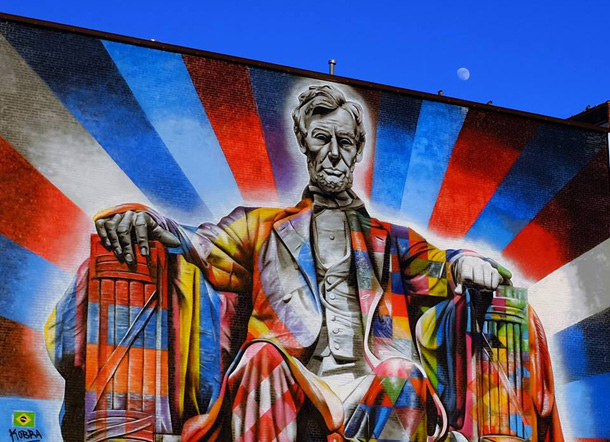 But did you know our history is rich with storytellers? William Wells Brown, born near here into slavery, wrote what is considered the first African-American novel. Walter Tevis attended high school here and UK, hanging out in the pool halls that would inspire his novel, The Hustle. It was home to Elizabeth Hardwick, wife of poet Robert Lowell, who both helped launch The New York Review of Books. Merry Prankster Ed McClanahan can be spotted walking the streets near his Kenwick house. Several of our best yarn spinners are enshrined in the Kentucky Writers Hall of Fame. 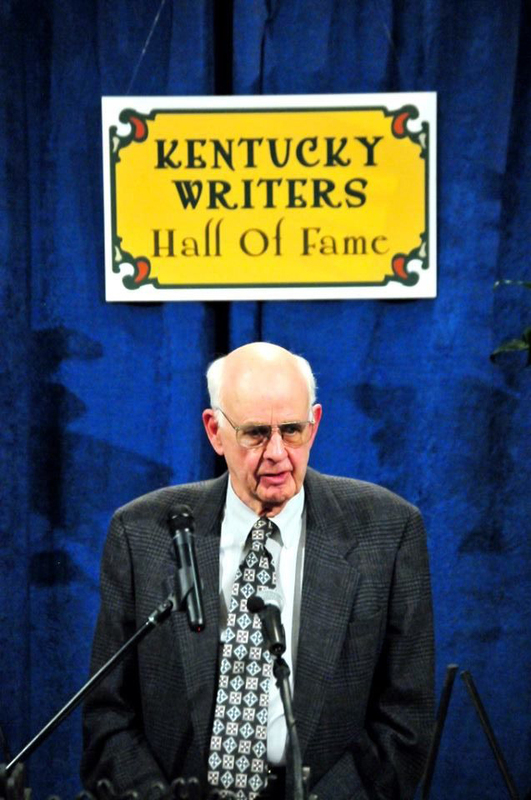 Former University of Kentucky professor and international icon, Wendell Berry was recently chosen as the first living member. Gonzo Legend and Louisville native Hunter S. Thompson joined Berry and others as inductees in the Hall’s third class of distinguished writers. The Carnegie Center for Literacy and Learning, where the Hall of Fame is housed, has been a beacon of literacy and the art of writing for over twenty years. They offer an array of classes and tutorial services for all ages. Their series, Kentucky Great Writers Series, features our best and brightest published writers. Their 2015 Books-in-Progress Conference is set to take place June 5-6, 2015. 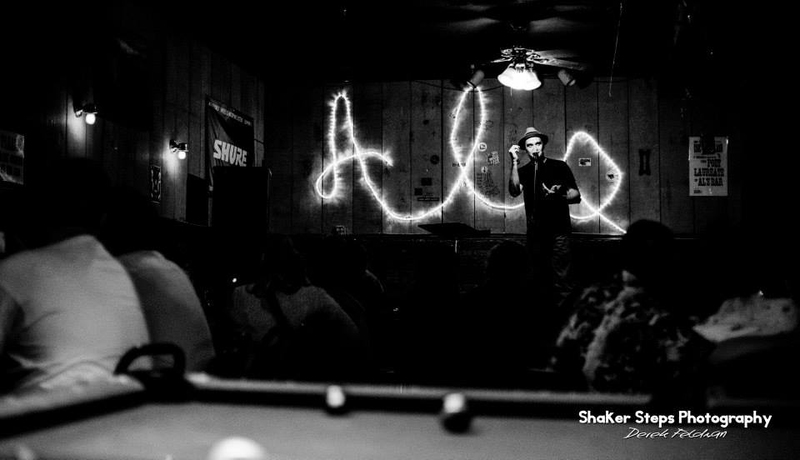 Lexington’s longest continuous series is Holler Poets Series. In its seventh year of programming, Holler has become an institution spotlighting literature and music each month since 2008. As the series host and curator, I have featured National Book Award Winners (Nikky Finney), Pulitzer Prize finalists (Maurice Manning), and several Poet Laureates including Kentucky’s first African-American ambassador of letters, Affrilachian Poets founder Frank X Walker. Happening at north side treasure, Al’s Bar, It is an incredibly welcoming environment for novice and master alike to share something they’ve written. Each event includes a twenty slot open mic. Teen Howl Poetry Series is a young adult writing series modelled after Holler. 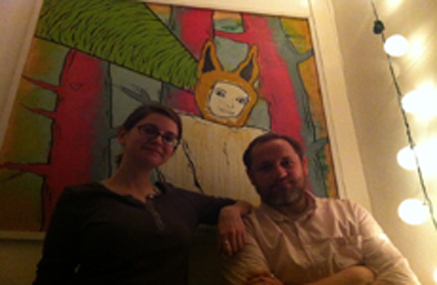 Holler regulars Elizabeth Beck and Jay McCoy are now in their fourth year of programming. Each month teens are encouraged to come share their work and to hear featured readings from their peers and special adult features. Poetry in Motion, founded by Lexington hip hop artist Devine Carama, is a hip hop and soul flavored open mic series celebrating its seventh anniversary in March. Rabbit Catastrophe Review is a twice annual hand bound journal created by Lex-transplants Greg Lamer and Robin Lamer Rahija of Rabbit Catastrophe Press. Accents Publishing is the brainchild of poet Katerina Stoykova-Klemer. An independent press for brilliant voices, Accents has published over 40 collections of poetry including books by Affrilachian poet Bianca Spriggs, former Kentucky Poet Laureate Richard Taylor, and Yale Young Poets winner T. Crunk. Katerina also hosts Accents, a Radio Show for Literature, Art and Culture that airs every Friday at 2pm EST on WRFL, the University of Kentucky’s amazing radio station since 1989. Katerina also co-founded the writing group Poezia. Old Cove Press, run by former Kentucky Poet Laureate Gurney Norman and his wife Nyoka Hawkins, is another Lexington publisher of note. 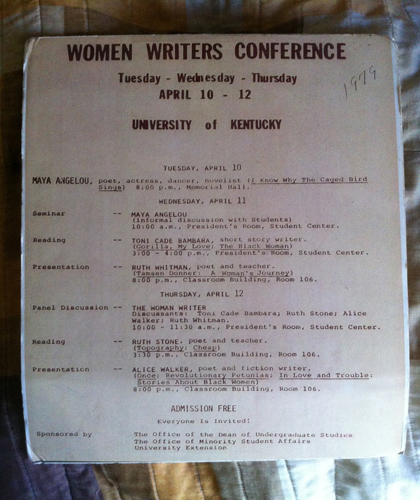 The Kentucky Women Writers Conference is the longest running literary festival of women in the nation. An annual event launched by the University of Kentucky, it has become a premier destination for the celebration of women’s arts and letters. As you can see in the program I found years ago, Maya Angelou headlined the first conference way back in 1979. The University of Kentucky has launched an MFA program in creative writing. Not sure what took so long, but Lexington literature lovers are relieved to know the home school has finally stepped up. This development is sure to add to our colorful literary culture. Off the Ground reading series is the latest addition from UK’s creative writing community, hosted by Limestone: Art. Prose. Poetry, Graphite, and Shale Literary Journal. University Press of Kentucky is a distinguished scholarly publisher. If you find yourself here in Lex looking to get lit, be sure to explore the region, where there are too many happenings to list here. You can purchase Kentucky books at these fine Lexington stores, The Morris Book Shop, sQecial media, The Wild Fig and Black Swan Books. Black Swan and sQecial have been in business for over thirty years!